Shira Banki: 16-year-old stabbed in Jerusalem gay pride parade dies. 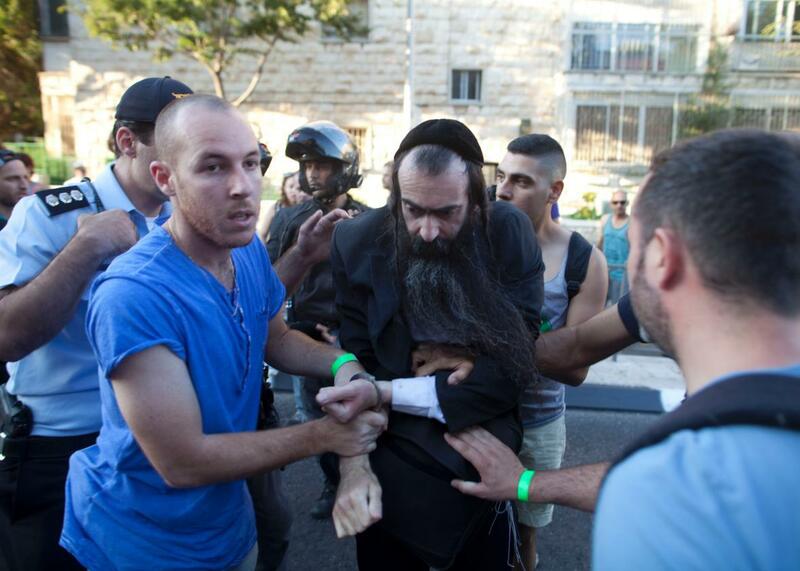 Israeli Policemen arrest an ultra-Orthodox Jewish man suspected of stabbing participants of the Gay Pride Parade on July 30, 2015 in Jerusalem, Israel. One of the people stabbed during Jerusalem’s gay pride parade Thursday has died. Shira Banki, a 16-year-old Israeli teenager, succumbed to her wounds and her organs will be donated, hospital officials said. Banki took part in the march to show solidarity with her LGBT friends, reports Haaretz. Banki was one of six people wounded by Yishai Shlissel, an ultra-Orthodox Jewish man who was arrested immediately after the attack. Police have confirmed he carried out a similar attack on a gay pride parade in 2005 and had been released from prison three weeks earlier. He had publicly complained about the parade after his release, leading to questions about whether the police should have kept a closer watch on his whereabouts. Jerusalem police said they had no intelligence that Schlissel was planning to attend the parade, reports the Jerusalem Post. Two others wounded in the attack are still hospitalized in serious condition but appear to be making progress.